Furnishing homes for families transitioning from homelessness. Help us continue to furnish homes for families and individuals transitioning out of homeless and abuse shelters. We service over 6 homes a week nationwide and operate 4 warehouses in Detroit, Chicago, San Diego, and Seattle. Make a difference by volunteering at either our warehouse or at a home deco. Corporate and group volunteer opportunities are also available. 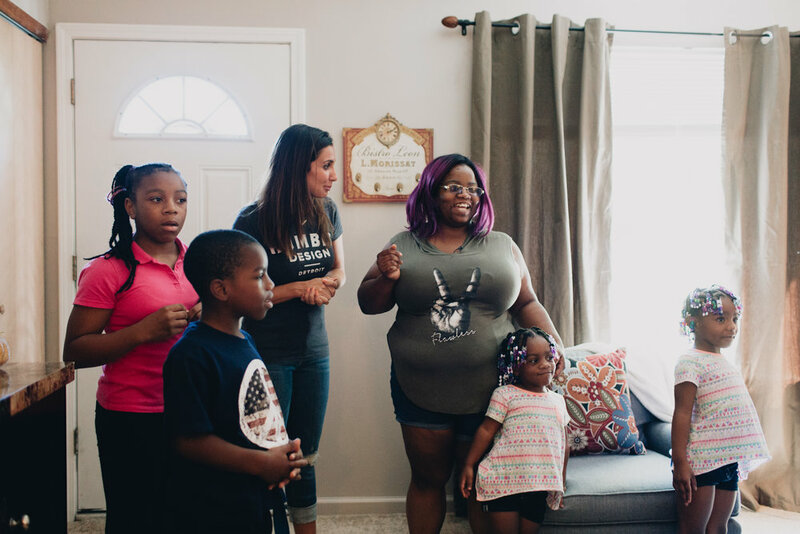 Seeing the impact a furnished home has on our clients is life-changing. Take a look at some of these reveals. Click below to watch a preview.